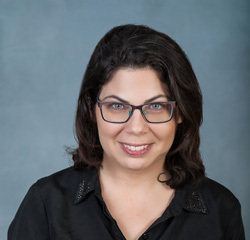 Shelly Kreiczer-Levy is an Associate Professor of Law (senior lecturer) and the head of the visiting scholar program at the College of Law and Business, in Ramat Gan, Israel. She holds an LL. B. (2004) and a PhD (2009) from Tel Aviv University law school. Dr. Kreiczer-Levy clerked for Supreme Court Chief Justice, Aharon Barak (2003-2004). She served as the current President of the Israeli Association of Private Law, and was the recipient of the Zeltner Award for Young Promising Scholars (2016). She has taught at Cornell Law School, and served as a Visiting Researcher at Yale Law School, and a Visiting Scholar at both Harvard Law School and Emory Law School. Her research interests are located at the intersection of property law and intimacy both in her work on family property, succession and the home, and in her more recent work on the sharing economy. Her work has been published or is forthcoming in leading law reviews including Wisconsin Law Review, Yale Law and Policy Review, Maryland Law Review, and Law and Social Inquiry. She is currently working on a book project, Destabilized Property: Property Law in the Sharing Economy, which is under contract with Cambridge University Press. Consumption Property in the Sharing Economy 43 Pepperdine Law Review 61 (2015). (reviewed in Kristine Barnes, Reconfiguring Property Theory and Legal Rules in the Sharing Economy, JOTWELL Oct 26, 2016). The Informal Property Rights of Boomerang Children in the Home 74 Maryland Law 127 Review (2014). Family Formation and the Home 104 Kentucky Law Journal 450 (w/ Pamela Laufer Ukeles) (2016). Can One Inherit a Home as Opposed to a House? A Normative and Comparative Perspective 31 Arizona Journal of International & Comparative Law 735 (2014). Intergenerational Relations and the Family Home, 8 Law and Ethics in Human Rights 131 (2014). Succession Law in Israel: Individualism and the Family 28 Israel Studies Review 300 (2013). Deliberative Accountability Rules: Promoting Accountability in Inheritance Law 45 Michigan Journal of Law Reform 937 (2012). Inheritance Legal Systems and the Intergenerational Bond 46 Real Property Trust and Estate Law Journal 495 (2012). Property and Belongingness: Rethinking Gender-Bias Disinheritance 21 Texas Journal of Women and the Law 119 (2011, with Meital Pinto). Religiously-Inspired Gender Bias Disinheritance – What’s Law Got to Do with it? 43 Creighton Law Review 689 (2010). The Mandatory Nature of Inheritance 53 American Journal of Jurisprudence 105 (2008). The Riddle of Inheritance: Will, Continuity and Commitment IDC Law Review (forthcoming 2018) (Hebrew) (symposium). Home-Sharing: The Case of Adult Children Living with their Parents in Bar Ilan Studies in Law (2015) (Hebrew). On Will Interpretation, a Missing Soul and the Dignity of the Deceased in Tel Aviv Law Review (2016) (w/ Ayelet Blecher-Prigat) (Hebrew). The Non-enforcement of Will Contracts Revisited 4 Hukim – A Journal on Legislation 5 (2012) (Hebrew). The Changing Vision of the Home in Studies in Housing Law (Michel Vols & Julian Sidoli eds. Eleven International Publishing, 2017). The Perpetuation of the Casual: Bequeathing Digital Assets in Death In Israel (Jiska Cohen-Mansfield, Haim Hazan, Shai Lavi & Shai Brill eds., Tel Aviv University, 2017) (w/ Ronit Donyets Kedar).